Property Details: 4 BR, 4 BA Waterfront Condo, 2,500+/- square feet. 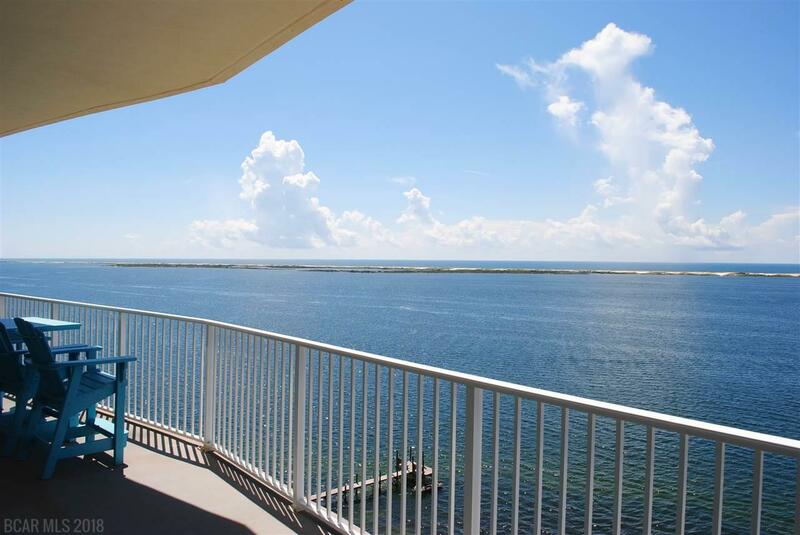 Perdido Key FL waterfront condo for sale at Harbour Pointe. This waterfront residence has incredible views of the Intra-coastal, the Gulf Islands National Seashore, and the Gulf of Mexico. This resort home has 4 large bedrooms, each with a private bathroom, the property has the large walk-in tile showers and 2 jetted tubs as well; with 2,800+ sq. ft. under roof, including a large private balcony, this condo is ideal for entertaining family & friends. The tile-flooring throughout the living areas (bedrooms have carpet) is perfect low maintenance floor-covering. The community is unique in that it has a dog park to let your pup run! You will enjoy moving the party outside on the oversized balcony. Stay cool in the summer with the almost constant breeze and shade on the balcony watching the Blue Angels practicing maneuvers right in front of you. The Pensacola weather is semi-tropical, with an annual average temperature of 75 degrees and approximately 343 days of sunshine annually, providing the prefect opportunity for visitors and residents alike to enjoy the beautiful white-sand beaches the area is so well known for. Gentle gulf breezes temper the normally hot summer weather; spring and fall days are generally warm, with cooler evenings. ——————————————————————Florida’s Panhandle is a Popular Vacation DestinationFlorida Emerald Coast · Visit Perdido Key.